UPDATED @ 9:59 PM 9:43 PM Armed Robbery In Daleville :: RickeyStokesNews.com! 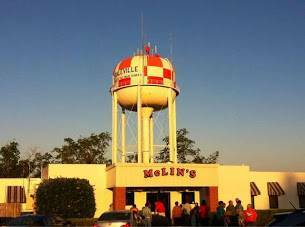 DALEVILLE: 9:43 PM Daleville Police responded to a Armed Robbery at McLin's Restaurant in Daleville. Suspect description is a black male, 6'2 black on black. Last seen running on foot towards the apartments from McLin's Restaurant. The additional suspect description is slender in build. Also the actual robbery was of an employee leaving and not of the business. Multiple Dale County Sheriff Deputies and Dale County Sheriff Chief Deputy Mason Bynum on the scene. Dale County Sheriff Wally Olson has K-9 units rolling to the scene.